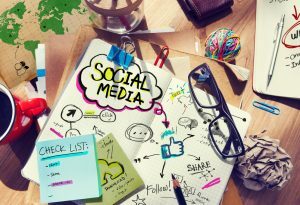 Give Your Social Media Some Personality | Advertising Systems, Inc. Businesses with successful social media channels have learned that there’s more to the marketing chore than simply scheduling a few posts each morning and then moving on to other matters. They’ve found that their channels demand a marketer’s constant, daylong attention, delivering not only posts that link to enticing content but also lead to what truly matters to their followers — customer service, a place to find community news and networking opportunities with other companies — along the way. Smile, with personality … . Think of your social media channels as a second storefront or office operation. By answering customer concerns or insights on those channels promptly, your customers see you as a company that cares — and one that provides a convenient place at which they can get quick information. A good rule to follow: Respond to customer concerns or insights on social media as quickly as possible, at least within 24 hours. Even behemoths such as AT&T, with its thousands of storefronts and offices around the world, view social media as a second doorway to their customer base. AT&T’s Twitter account, @ATTCares, gets a large amount of traffic from customers who may have become frustrated by long voicemail holds or other phone delays with company representatives. But tweets to ATTCares usually get top priority and prompt attention — as in quick replies from the company. When a fire at an AT&T switching station in the Dallas-Fort Worth area recently knocked out internet service to thousands of customers, for example, ATTCares was a place where customers could find an immediate explanation. Successful social media channels have found that sharing news about community events is a good way to interact with their customers. Followers particularly like posts with which they can identify, such as the approaching weekend or holiday plans or whatever’s currently trending on social media. When you share news, offer your own insights with your posts, such as your own company’s involvement in the event, and add a question that might get your customers engaged. When you see on your LinkedIn feed that a cross-town business offering products similar to yours has won some sort of award or recognition, share the post with your readers and offer some congratulations, perhaps with a hashtag or an “@” if your message is a tweet. That other business might have triple the number of followers that you do, and when others see your post, they may just give you a look and follow you, too. Hobnobbing with other businesses, be they small or large, could just lead to a co-branding opportunity that’s beneficial for your business — like a partnership last year between Casper, an online mattress and bedding brand, and West Elm, the high-end furniture company. Casper’s mattresses come in a large box, and customers’ unboxing of the mattresses upon delivery proved to be huge hits on YouTube and TV commercials. However, Casper realized that many people actually might like to try a mattress before committing to an online sticker price and a big-box delivery. Enter the West Elm partnership, played heavily on social media, which allowed customers to try out the Casper mattresses at West Elm locations. For West Elm, which at the time didn’t sell mattresses, the partnership proved to be an ideal advertising opportunity, because customers also could check out its bedroom-related and other furniture while at the store. Never mind that later in 2017, West Elm opted to showcase Leesa mattresses instead. Casper, in turn, was able to enter into another deal, this time with an even bigger retail brand, Target. Because they’ve used a little personality in their social media, Casper mattresses, you might say, remain a friendly post.